The kitchen and its uses have evolved over the last few decades, it was formally just a place where meals were prepared and baking was done. However, the modern kitchen is an eating area, a space for family time, study time and can be used as an office or just general workspace too. 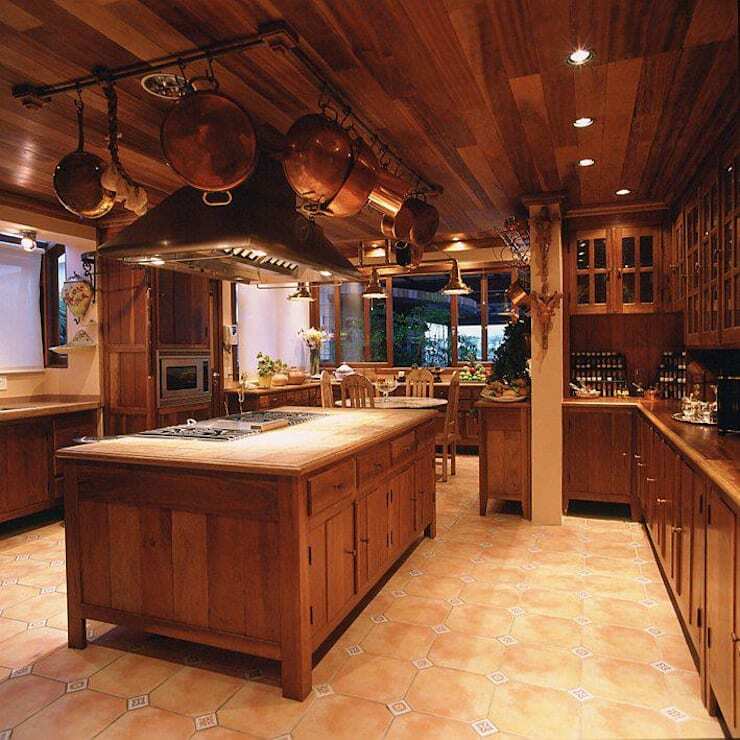 But that doesn’t mean that the old fashion classic rustic style kitchen should be a thing of the past. Kitchens with a traditional design and layout, but with modern appliances can be trendy and tasteful, making your kitchen chic and comfortable for years to come. 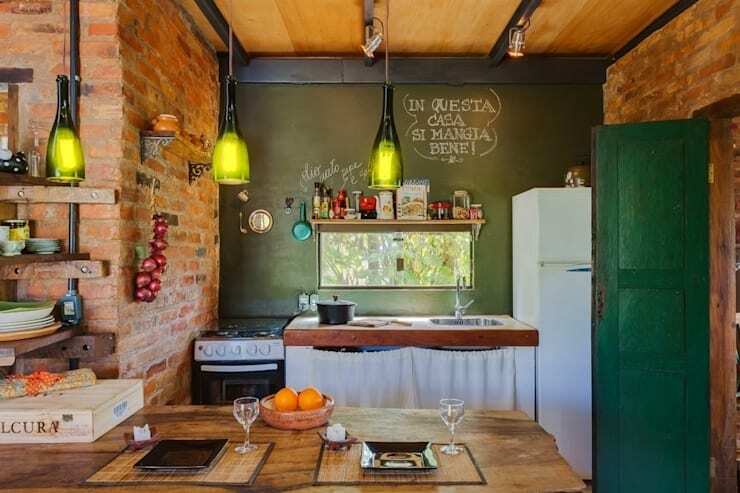 These 8 rustic kitchen designs are totally inspiring! The use of classic materials adds texture and style to a rustic kitchen and this brick wall and wooden cupboard combination is an authentic and simple way to warm up your kitchen, the neutral tone of this kitchen design makes it even more welcoming. The secret to styling a rustic kitchen is to create a fresh space with delicious smells that take us back to our childhood. Using the space available to hang pots, pans and other utensils means that less space is used in the kitchen cabinets, while also recreating that traditional rustic style. 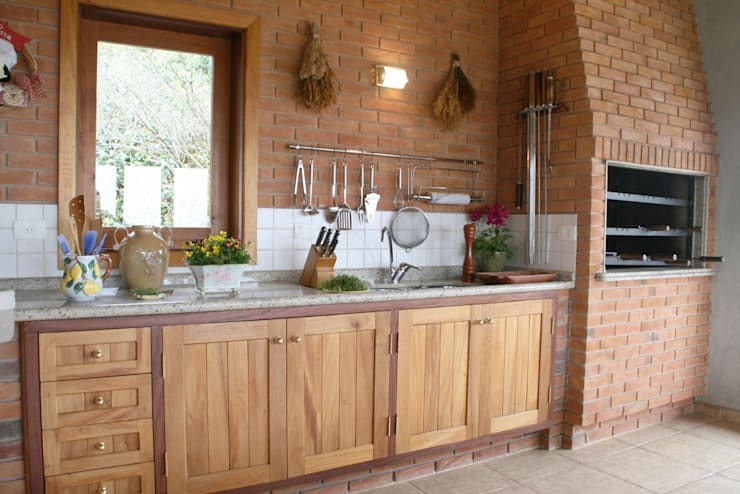 A rustic kitchen would not be perfect without the addition of various shades and effects of wood. 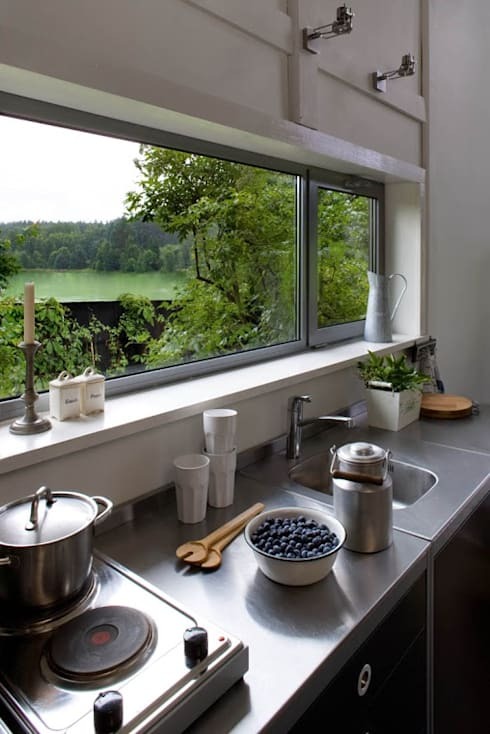 Wood adds character to everything from the cabinet doors to the countertops and even the window frames, so consider this textured and natural approach to kitchen décor. When considering wall décor for your rustic kitchen, painted walls create a fantastic setting, consider a bold and striking shade for that personal style that is filled with vitality, especially when paired with cupboards in a neutral and natural wood. 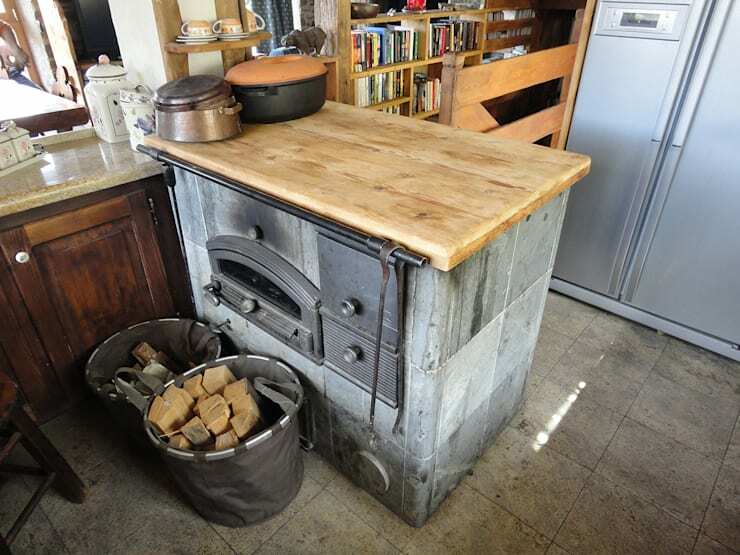 A rustic styled kitchen would not be complete without old fashion appliances, and this wood fired oven is the perfect way to create scrumptious meals! You may want to consider calling a professional to install this one for you… it may be tricky. One of the most important components to rustic kitchen style must be the addition of wicker storage baskets. 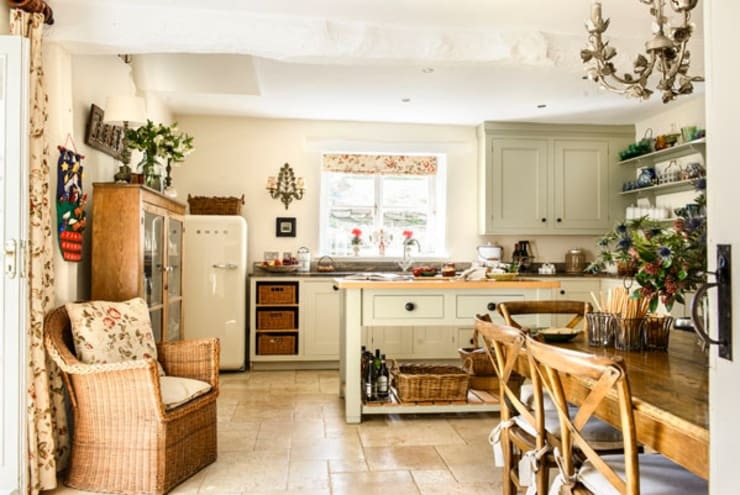 This adds that country style to your kitchen, which is chic, warm and cosy. This kitchen has incorporated the natural fibre furniture in a stunning way! 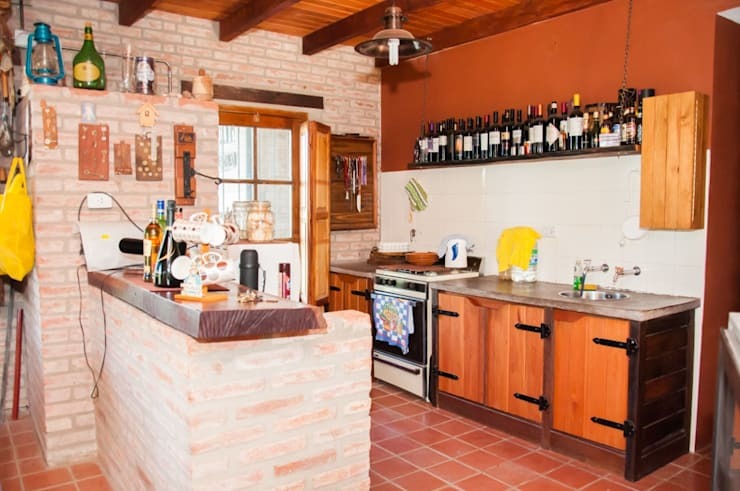 Countertops are essential in any kitchen, but in a rustic kitchen careful consideration is required regarding the type of material, wood is a natural favourite for this style kitchen, while mosaic and stone can make quite a statement too. 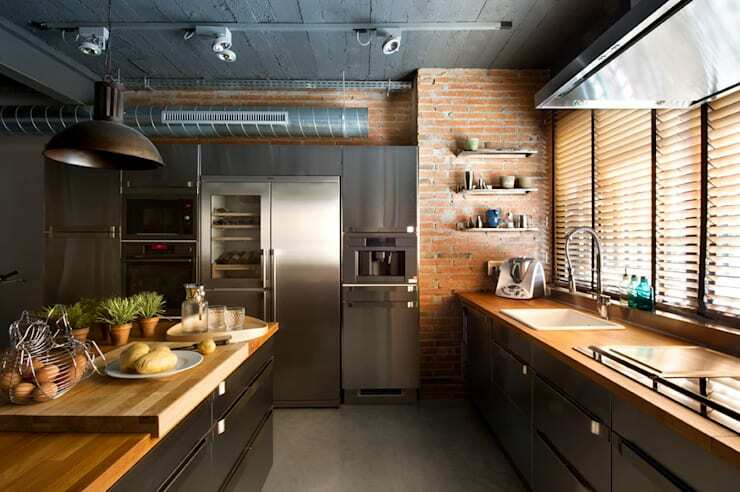 Any kitchen requires ample and adequate lighting, however, natural lighting in a rustic styled kitchen creates that perfect and authentic setting that makes materials, textures, shapes and design sensational. There is something so fascinating about the effect of sunshine on an interior. How to Makeover Your Kitchen in 4 Easy Steps will have your kitchen looking fabulous again! What is your ideal kitchen style?